Living in this technology-driven era, we have access to a plethora of options when it comes to our computer needs. In this digital age, nearly everything has transformed into this new medium, including school work. Gone are the days when we needed to go to school with notebooks and pencils. Laptops are a great tool to do everything you used to do manually, more efficiently and quickly. Today, it’s just not enough to have a laptop that can just get by fulfilling all our computing needs especially for children in school. Gaming is extremely popular these days and most kids look for products that could do both. So, we are going to talk about some of the best laptops for school and gaming. Gaming has turned into a multi-billion dollar industry with competitive matches and millions of dollars’ worth of prizes. Playing games is no longer considered to be something that only geeks or nerds do. It has transcended all genders, countries and ages, transfixing everyone from all corners of the world. E-Sports itself has become a serious competitive event with millions of fans and hundreds of sponsored teams. However serious gaming is something that requires you to buy heavy duty machines if you want to play the latest games or train for competitive matches. These laptops come at staggeringly high prices, but you can find some sort of a middle ground where they are affordable yet powerful enough to perform both tasks. Do keep in mind that laptops in the affordable price point aren’t built to play the latest games at their highest graphical settings, but they can do a decent enough job to keep you happy. Here are some of the best laptops for school and gaming, including affordable ones and a few pricey ones for the serious gamers. 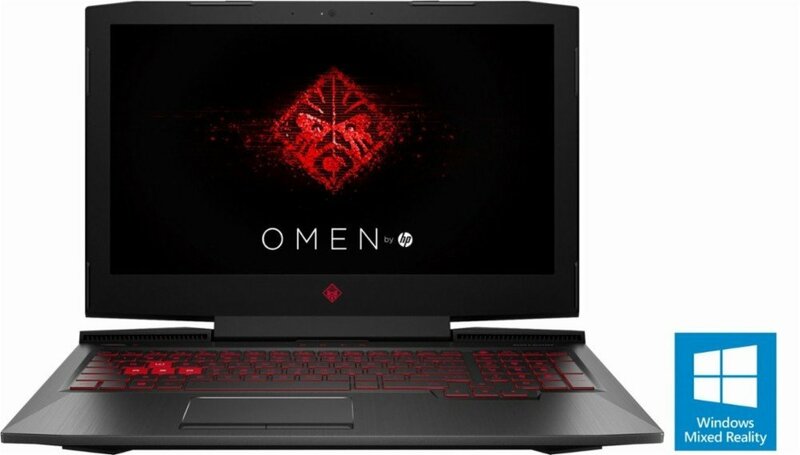 The HP Omen isn’t for the serious gamer who goes to school, as it’s an entry level affordable laptop, but also brings a lot of value in regards to that niche segment. It comes with a 2.8 GHz Intel Core i1-7700 HQ processor, 8 GB RAM (upgradable to 16 GB), 1 TB storage capacity, NVidia GTX 1050 graphics card and a 15-inch display. The carbon fiber body feels really good and robust in your hands and the red “roots” logo looks beautiful, surrounded by the matte black exterior. The keyboards also come with a red backlight which looks pretty awesome especially in the night. The display, however, has great color, but it’s pretty dim when compared to some of the other laptops that come at a similar price point. However, that tiny bit of detail can be overlooked due to the amazing colors the display offers. As far as performance goes, the laptop does a good job of performing tasks and running games. However, you may face issues running the latest games in high settings because this laptop isn’t built for intense tasks. At max you could go for medium settings and still enjoy a good gaming experience. All in all, it provides great value for the price you can buy it at. 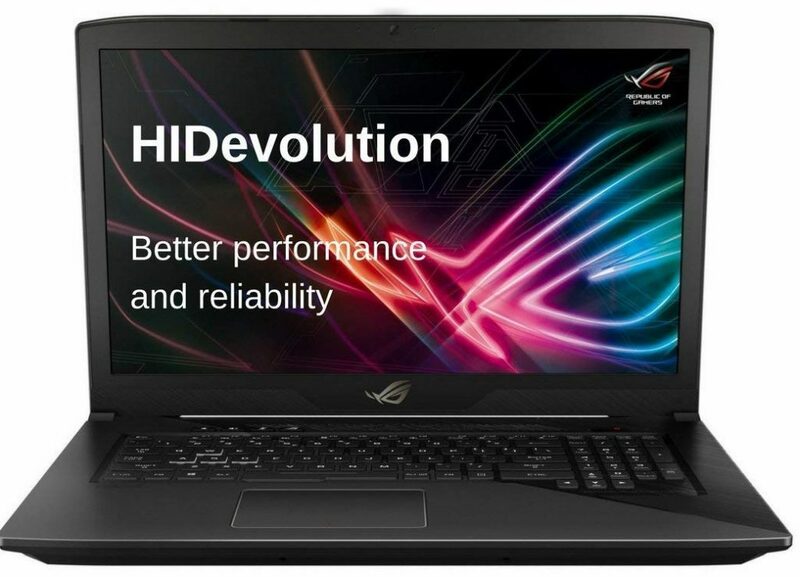 This Asus ROG STRIX GL703VD17 comes with an Intel Core i-7 2.8 GHz HQ processor, a 4 GB NVIDIA GeForce GTX 1050, 32 GB DDR4 RAM and a 17.3-inch display with 1920×1080 screen resolution. It is easily one of the coolest looking entry-level gaming laptops in the market today. The brushed aluminum lid comes with a textured finish and a backlight logo embossed on one side. The 128GB PCle and SATA storage along with 1 TB 5400 RPM SSHD allows you to experience near flawless booting up and reduced loading times. At the same time, the storage capacity is quite low, but you do have to consider the price point of this laptop. If space is not enough for you, then you can go for the other options such as the 2 TB SSD or the 1 TB SSD version. They come at $3,064 and $ 1,834 respectively. The big flaw of this laptop is its battery life. It’s not sufficient enough to have a prolonged gaming experience without keeping it charged throughout. 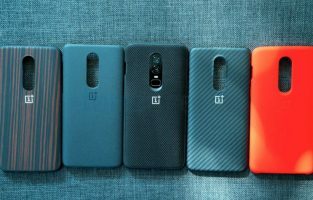 It’s still a great value product however due to the insanely low price point. It may not be the best performance based laptop but it’s great at multi-tasking and allows you to play games at standard quality without any hiccups. Prepare yourself for the ultimate gaming beast that will make your jaws drop in astonishment. This thick laptop may not look the part of a gaming machine but make no mistake; it’s a slumbering beast. It comes with Intel Core i7, an 8 GB NVidia GeForce GTX 1080 graphics card, 16 GB of RAM and 512 GB M.2 PClex4 SSD storage. The display size is a modest 15.6 inch with anti-glare and a wide view 120 Hz panel. You also get the 8th Gen Intel i7 option for additional performance, but you will have to pay an additional $300 for it. Where this stands apart from all the other laptops is that it combines the functionality and size of an Ultrabook while performing like a mid-high range gaming machine. Another great aspect of this machine is that it’s completely silent when running tasks. The body has an aerodynamic design that allows the air to flow more freely and cools up the machine by 20 percent compared to conventional laptops. 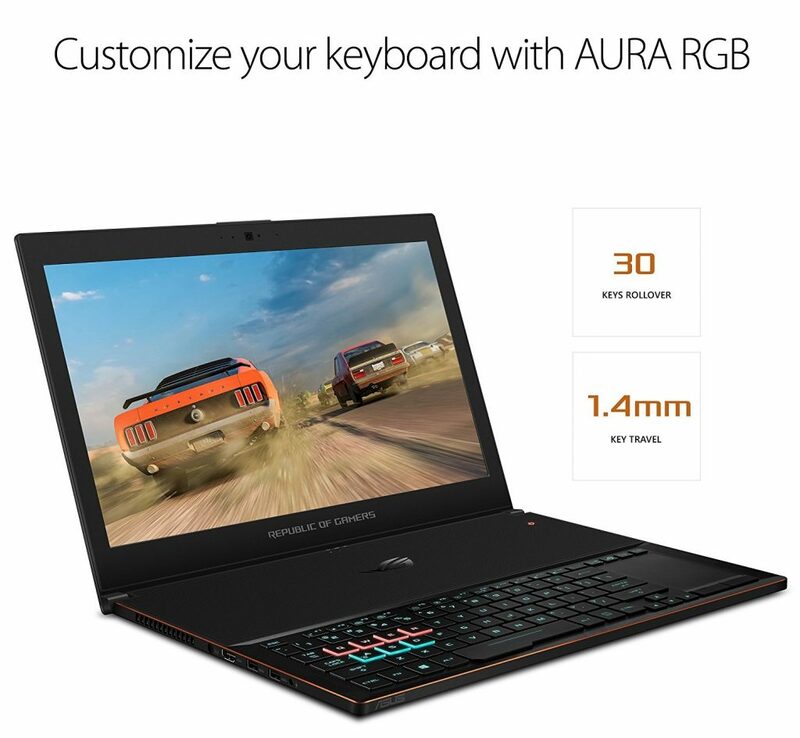 The Asus ROG Zephyrus GX501 also comes with a customizable RGB gaming keyboard built for nearly 20 million keystrokes. The MSI Gs65 stealth is one of the most impressive compact laptops in the market today as far as performance goes. It has an Intel Core i7-8750H processor, 16 GB RAM, 8 GB NVIDIA GTX 1070 graphics card, 512 GB NVMe SSD and VR capability. The 15-inch display comes with anti-glare and a refresh rate of 144 Hz perfect for gaming. 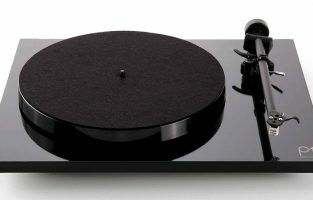 Design wise it looks beautiful with a sleek, black body and small gold accents over its lid and around the touchpad. It’s sure to dazzle people when you whip it out in front of them. It’s also pretty lightweight at 4 pounds making it extremely convenient to carry around. You can easily fit in in your backpack and you won’t even feel a difference due to its compact size. 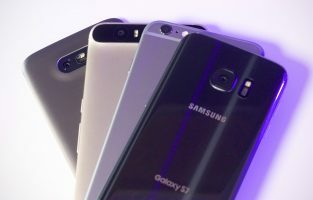 Another great aspect of the design is the almost bezel-free display and an 85 percent screen-body ratio. This laptop is built not only for intense gaming but pretty much any task you put in front of it. As far as the battery life is concerned, it’s nothing special and offers the same as most high-end gaming laptops. It’s not bad but it’s not great either. The price is expensive but when you look at everything this laptop offers and more, the cost seems very reasonable. 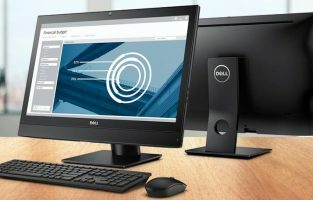 Dell is undoubtedly one of the best companies out there that provide high-quality computers, peripherals and laptops in the market today. 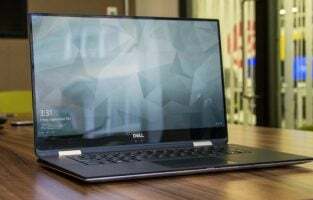 One of their finest products in the laptop space is the Dell XPS 15 which comes with an Intel Core i5/i7, 4 GB Radeon RX Vega M GL Graphics, 8 GB RAM, 512 GB PCle SSD and a 15.6-inch ultra HD display. It combines the raw power of a gaming machine with the convenience of a thin sleek looking chassis to give you the finest experience you can have while running tasks. You can’t help but fall in love with its incredibly thin, sleek body. In fact, you might not even believe the raw power this laptop has by looking at its delicate frame. It’s only when you put on some games and increase the graphics settings that you see it for what it is; a lean and mean gaming machine. An interesting feature is a 360-degree hinge on the bottom of the display that will allow you to pivot your screen to 180 degrees and use it as a tablet or push it all the way to the back. Almost everything about this laptop is great with the only downside being a loud fan that may put you off if you like quiet laptops. 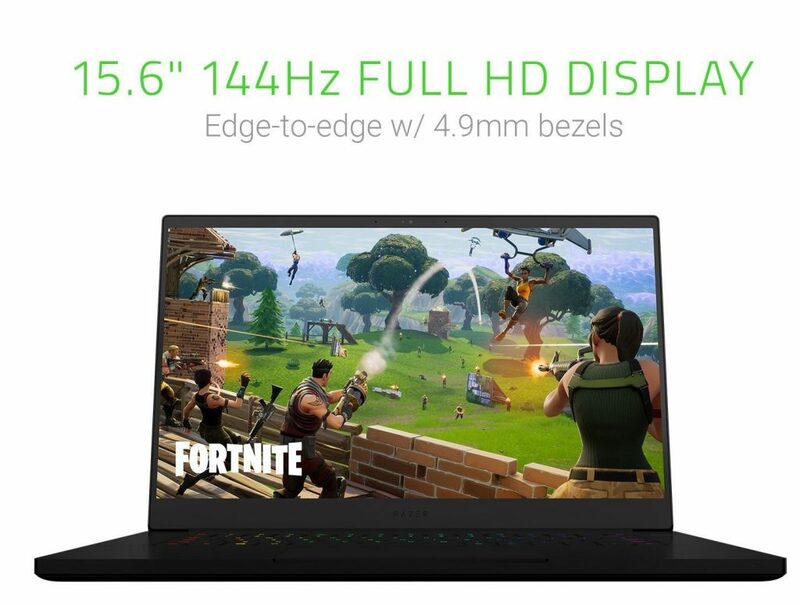 The Razer R3U1 Blade is an exceptional gaming laptop that can help you to do any of your school work while running the latest games with ease. It comes with an Intel Core i7-8750H, 8 GB NVidia GeForce GTX 1070, 16 GB RAM, 512 GB SSD and a 15.6-inch display. The 15-inch display makes it one of the smallest gaming laptops that can pack a great punch, not to mention a great 144Hz and an 85 percent visible display area. The laptop also features an exceptionally thin frame, making it one of the most compact gaming machines out there. 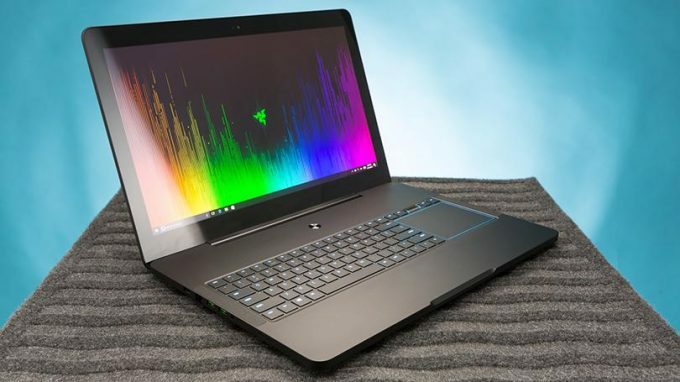 What’s more interesting about this laptop, is the expandability it offers with the Razer Core X. The 8th Gen Intel Core i7-8750 processor comes with 6 cores and allows you to run multiple tasks with lightning fast speeds, making it an absolute delight for just anything you want to do. The impressive vapor chamber cooling system keeps the laptop cool at all times while providing a great boost to its performance. Moreover, you also get the additional software and game bundles absolutely free, if you buy it from select online distributers. All in all, this is one great laptop to own, if you want a small beast of a laptop that can fulfil any computing or gaming need you may have. Buying a laptop might sound like an easy task, but its way more difficult than one assumes. 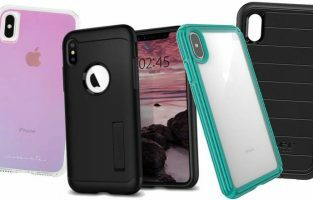 There are so many unique options available today, at so many price ranges, that it’s hard to decide which one to go for. 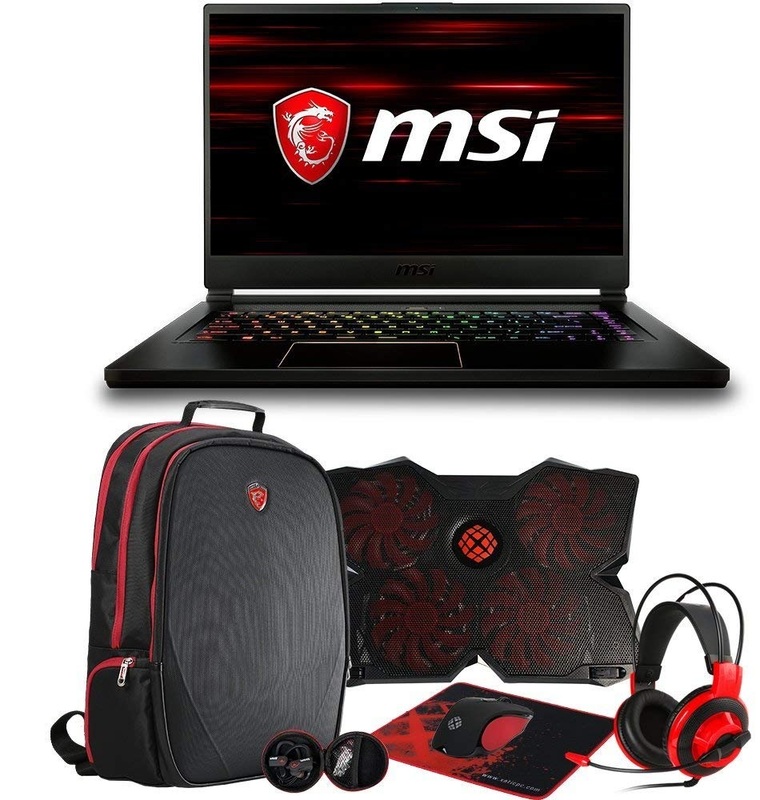 If you are still in school and you are looking for a gaming laptop, you need to ask yourself what the primary and secondary priority of your laptop will be. If it’s more for school work and less for gaming then you need to look at some of the entry-level gaming laptops as they will do the job. 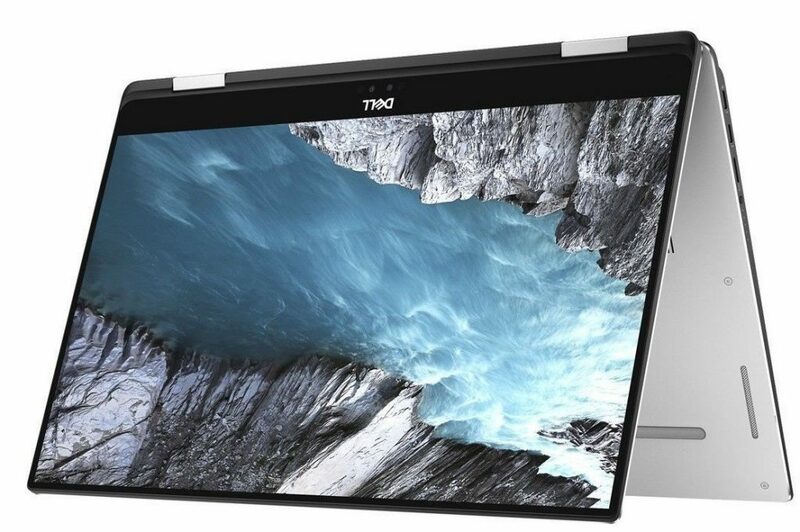 If you need a performance heavy laptop that could also perform any curriculum based tasks, then you have to go for the more expensive options. It is far better to get a powerful system that you can use for years than buy an inexpensive one that might become useless and obsolete in a year or two. Do your own research and look for the laptop that will help you fulfil your specific needs while keeping in mind it’s worth not only for now but a few years from now.